Cayenne’s financial forecast was a critical tool in our fundraising process. It helped us understand the financial management and operational challenges we would face as a startup. At the same time, it allowed us to communicate to our investors that we clearly understood those challenges and had thought them through. We are very pleased with Cayenne’s services. We can customize our financial forecast model to fit any type of business, or create a new financial model from scratch depending on the circumstances. The process is as much art as science and we have the experience to help you get it right. We develop simplifying assumptions to reduce the number of “moving parts” in your business. This allows you and your audience to focus on a more manageable number of assumptions. We establish cause-and-effect relationships so that when one variable changes, everything that depends on that variable will also change. For example, your “tech support” headcount might be a function of the number of customers you have. Income statement, balance sheet, and cash flow statement. Monthly details with quarterly and annual summaries. Assumptions are color coded, documented, and organized by category. Extensive error checking to help spot mistakes quickly. Create a PDF of the entire model in just one click. Operating expenses grouped by department. Key ratios such as revenue per employee so you can benchmark against industry standards. Capital Formation Strategy: We can evaluate growth opportunities for your business plan and help you develop an appropriate capital formation strategy. In doing so, we analyze your capital needs, evaluate your capital structure, and identify appropriate sources of capital (friends & family, Angels, venture capital, grants, SBA-guaranteed loans, bank financing, internal cash flow, etc.) to help you achieve your full potential. Valuations: We can help you estimate the value of a business for the purposes of an investment, sale, merger, or acquisition. Please see our valuation services page for more details. Risk Analysis & Management: What can go wrong, and what can you do about it? Every business faces a unique set of risks. Identifying, analyzing, and mitigating those risks can provide peace of mind and a strong competitive advantage. We can help you identify and quantify these risks through a risk audit and the development of sophisticated risk models. Some of the techniques we can employ include the development of Monte Carlo simulation models so that you can visualize the full range of potential outcomes. Spreadsheet Auditing: You’ve built a complex spreadsheet. Are you positive that it’s free of errors? Would you bet on it? Almost every spreadsheet we have examined has at least one significant flaw (and numerous small flaws). We are experts at finding and fixing problems, so let us help! 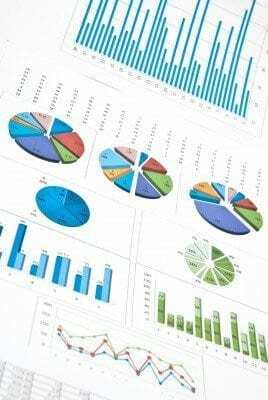 Other Financial Analyses: We can help with a wide variety of other financial and statistical analyses, ranging from product profitability analyses, to evaluating new opportunities, to Monte Carlo simulations and scenario analyses. If it can be done in a spreadsheet, we can do it. I'd like to learn more about preparing a financial forecast!